Thought-provoking and startlingly honest. This series will allow you to explore ideas and viewpoints which are rare to find elsewhere in society. Unique opportunity to see into environments and worlds that are otherwise closed. Didn't really live up to the hype. I found each story interesting but not compelling. I also found the privileged creaky voice of the narrator profoundly smug and annoying. A bit hard to listen to some of the stories but loved the concept a very original idea but . It takes so long to get to the actual story! The talks are great and very much worth listening to. it's just that the introduction to each episode is exorbitantly long! you could really cut your introduction down to under a minute and get to the point of letting the speaker give their talk. The emotional side of TED talks, I loved hearing not just the stories but the reflections and teachings from such a wide range of people. I wish there was a season 2. 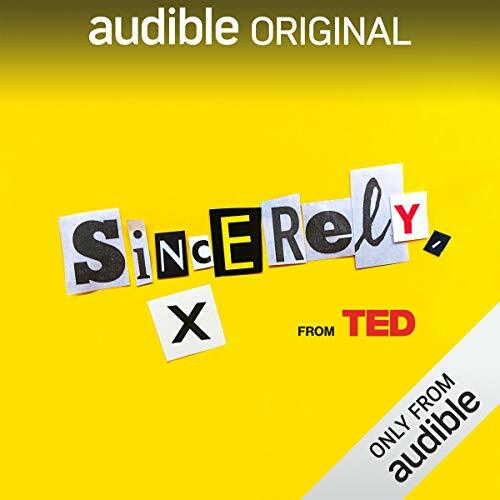 As someone who has had severe mental health problems myself, I found the way TED presents the narratives related mental health here clumsy and poorly-handled. Whilst the individuals concerned obviously had specific reasons that necessitated anonymity, the overall effect of presenting stories of people with severe depression and related problems in this way was to reinforce the dated and damaging notion that mental health issues are somehow shameful. One of the individuals, despite being intelligent and socially privileged, describes trying to access therapy whilst being 'terrified' of friends or acquaintances finding out he was doing so. Whilst I appreciate that the aim was to give space to individual stories, the effect of presenting such irrational shame unchallenged is to reinforce it. Not great to say the least.